Betscheme is a user friendly sports betting platform. betting experience as easy as possible. Betscheme offers administration panel to control your sportsbook! It helps to trace sportsbook financial and betting activity. For Betscheme backend logins contact our support team! The frontend is the port of call for all our users. It shows all the main features and it is what eventually attracts users by showing off our easy betting solutions. Take a look to be sure this is what you’re looking for! The ability to browse with ease on a website is crucial for its success. Betscheme designers and administrators do their utmost best to improve the browsing experience and make the website accessible for all users. 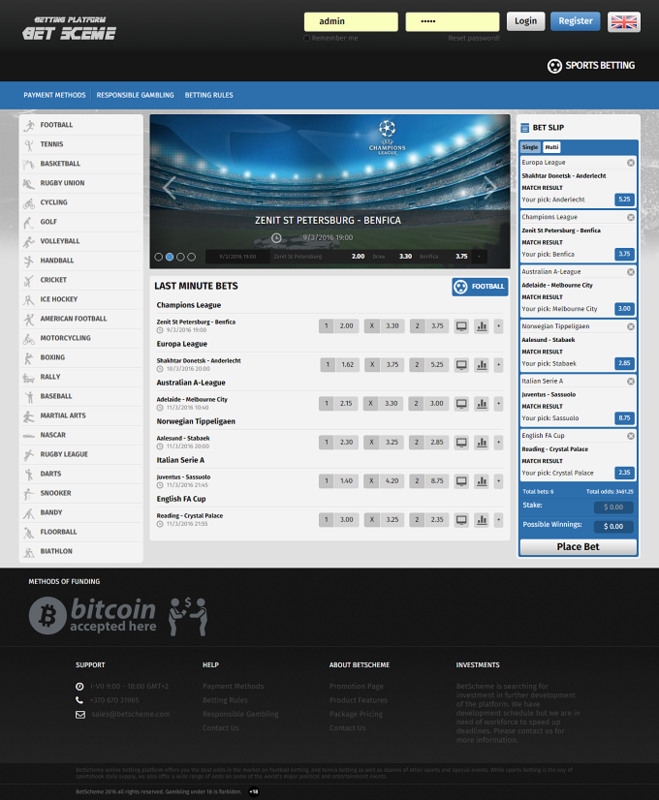 Sports betting in the Betscheme interface is simple and easy to understand for new users. The events display gives users a clear overview of the ongoing events to make sure they don’t miss out on a single game! Our dynamic slider is the eye catcher of the website. It promotes ongoing events or promotions. It’s also a crucial design element to the website as it brings energy and a certain vibe to the website. Functional and bespoke, our sliders are a work of art. We believe that our custom design gives us the edge over all other sportsbook websites. Betscheme administrators can easily change the design of the entire website based on user feedback. If our users see something they don’t like, they can simply submit a request and the administrators will take care of it! This bespoke approach puts Betscheme in a unique position. We deliver what our users want. Always! The easy to use betslip allows users to quickly understand how the betting works. Users can quickly place new tickets or follow up on older ones. Betting is best done in your native language. This is why we already offer a lot of language options. If you can’t find your native language in the list, simply file in a request to our administrators and they’ll gladly implement it on the website. Talk about personalization huh! Betscheme offers wide range of services. Check out our services to see if this is what you’re looking for! Betscheme platform comes with agent system. It allows you to expand your business using agents in markets. Administrator is most powerful role in system. It controls all settings and limits. Moreover, he can trace each role (staff) performance real time. In betshop administrator manage remotely creation of staff and trace betshop financial results. Branch role is area unit. It is usually company, country or city. They search for agents, trace their performance. Furthermore, they can set limits on agents. Agent is most important role in sportsbook profit. They search for users who deposit and place bets. Agent got commissions from user’s lost money. Agent can trace their users performance. Betscheme’s Retail platform offers Sport pre-match and in-play betting. Moreover, there are fixture and ticket printing options through thermal printer. Solutions are cloud based. Operator or Cashier roles are main betshop staff. Operators collect money and print tickets in betshop. Meanwhile cashier pay the winnings. Each role can trace their performance. Betscheme’s offers a web-based gaming product platform with enterprise level features and functionality that includes Sports Betting: in-play, pre-match. The platform can be accessed with all mobile internet browsers. It gives users freedom to place bet anytime through mobile device. Do you require another payment gateway integration? Contact us for solution. 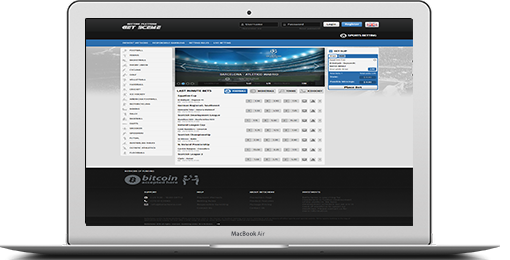 You can make sure that platform has everything you’re looking for when you’re setting up your own sportsbook. Make sure the users like what they see. The front end of this website is what will attract new customers so it’s an essential part of your branding and marketing strategy. Backend this is where you’ll be working to implement every single change. Our Betscheme Back end is designed with easy use in mind. 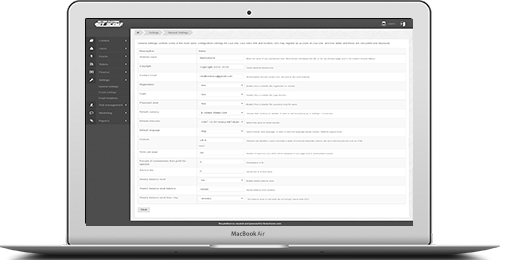 Administrator tools are only a few clicks away, all the information is precise and very clear. We don’t believe in hidden costs or ongoing fees. Here, what you see is what you get. No profit or income share! Free data for events and odds! Free setup and general support! This package does NOT include additional modifications. How can I order additional modifications? We offer additional development services if you require new casino game, different online payment methods or any other upgrades. Simply contact our support team and they will give you and instant quote and delivery date. Quick and simple, that’s how we roll. Will I get all sport events and odds automatically? Absolutely! We will provide events for 60+ sports, odds included. There are over 1450 leagues. They will automatically be implemented on the website. Unfortunately, there are no results feed so administrator will need to enter resutls to close tickets. What do I get if I order the SOURCE package? This package does NOT include additional development and all details depends on agreement with project manager. How will I receive the platform? You’ll get the source code by a simple download link. We will also install the source code in your server if you want us to do so. Can I use it on more than one domain? Source package you can use only for one domain. For more options please contact project manager. What is full package price? We’re always looking forward to your feedback and we’re always open to explore new partnership offers. We are ready to assist on your inquiry. Contact in most convenient way anytime through our offered alternative contacts. Our company specializes in online gambling industry. We are developing online sportsbook software which can be adapted to your business module. Contact our project manager to start your business now!